LIFE ON THE LAKE! A rare opportunity to live on the very best lot on one of the loveliest, and most sought after lake properties in South Winnipeg. It's a perfectly planned layout with 7 different lake views from the kitchen, dining room and master bedroom. The master bedroom is an area to behold while encompassing virtually the entire back side of the house to maximize the panoramic lake view. The 6piece ensuite bath is like a spa with dual showers, jetted tub, walkin closet and double sided fireplace. The 5th bedroom is converted into a theatre room and is situated over the garage to minimize noise impact. The spacious eat-in kitchen has plenty of cabinet and counter space for cooking large meals plus easy access from the triple garage for grocery storage. Granite floors and an open 3 level staircase give the entrance a regal look. 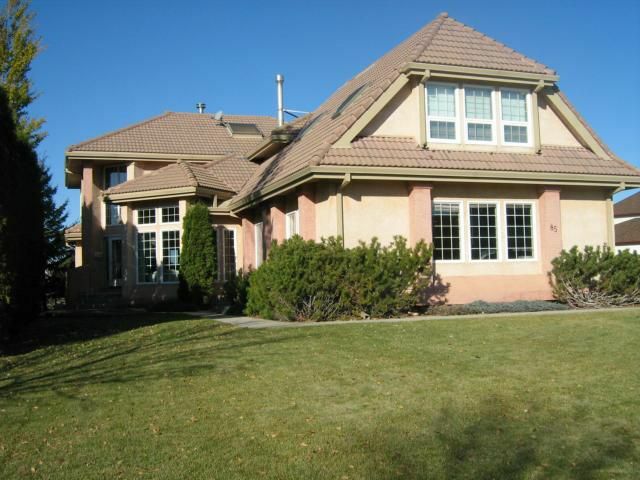 A finished basement w/ wet bar, huge rec/play room and 4p bath &5th Bedroom. island lakes listing expert/specialist!